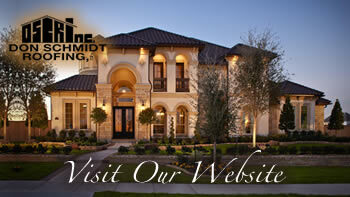 Home » Don Schmidt Roofing Blog » Need a Roofing Quote? Wear and tear are expected in your home as years go by and managing the condition of your home is not only wise from a safety perspective, but in Central Florida it’s being financially wise to maintain the condition of your home. The roof of your home is no exception to this. By managing the condition of your roof, you can increase the length of its good condition, which is so important with Central Florida’s extreme weather changes. Living with an ill-repaired roof can sometimes cost you more money than just the roof itself. Our Florida roofs keep out heat, wind, rain, blowing objects hail and much more. Keeping those elements away from your home and family is paramount. When the home’s exterior is breached, repair costs rise quickly! Maintain your roof’s condition by regularly inspecting the entire roof and by utilizing Don Schmidt Roofing for detailed inspections. We will spot potential issues with your roof system even before you might notice an issue! Don Schmidt Roofing and Contracting Inc. has been providing quality Commercial and Residential Roofing in Central Florida for nearly 30 years. Request a quote and we will respond as soon as possible.